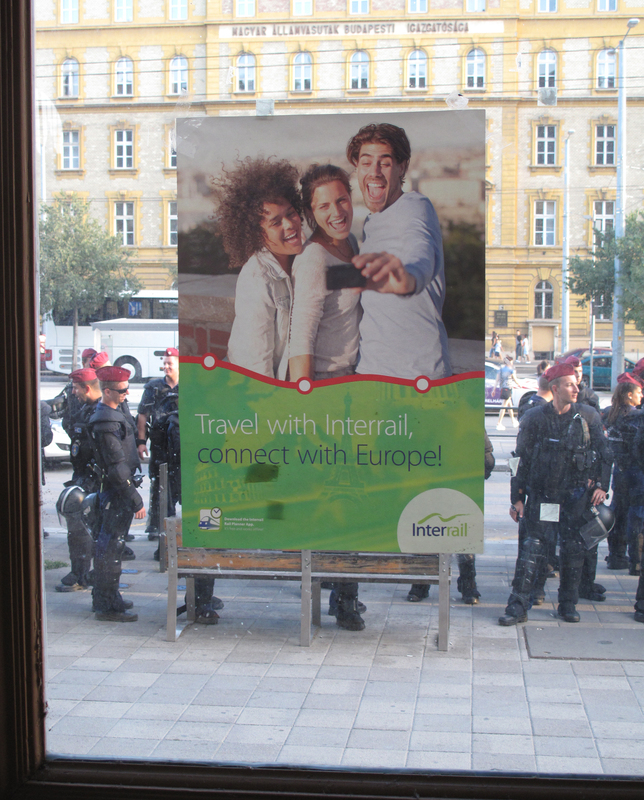 Nothing could prepare me for what I saw at Keleti Staion this past week. Masses of sinister-looking police decked in black controlled the station, but where were the Syrian refugees? I looked down the central steps and there they were penned in behind a grille. In fact they were confined to the underground foyer, left to take comfort on a cold, unforgiving floor. It was a pitiful sight. Stepping outside the station I saw hundreds more people, coping with temperatures in excess of thirty degrees. Children could be seen playing, but for this little boy it was all too much. Now that they are on the move, let’s hope they find sanctuary. 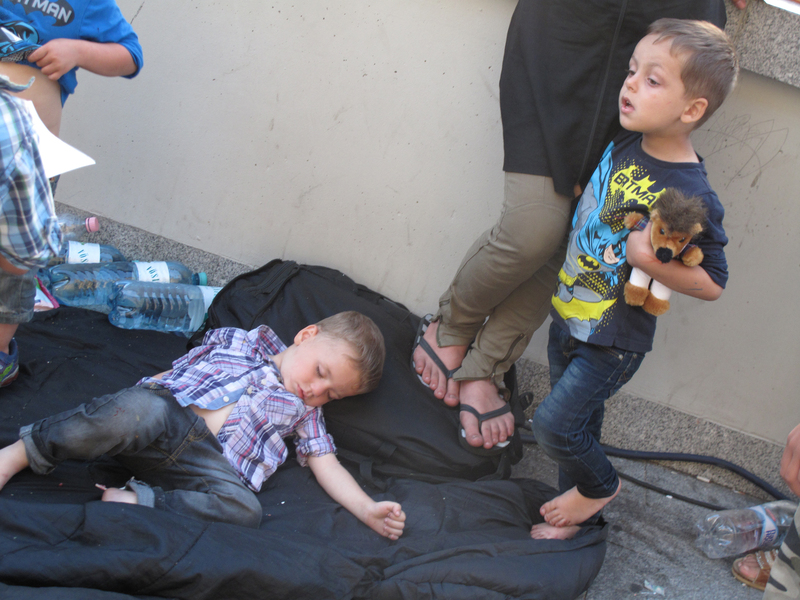 This entry was posted in Photography, street photo and tagged Keleti Station, Syrian refugees. Bookmark the permalink.